"Eastern Libra," acrylic on canvas, 36 x 24, 2016. 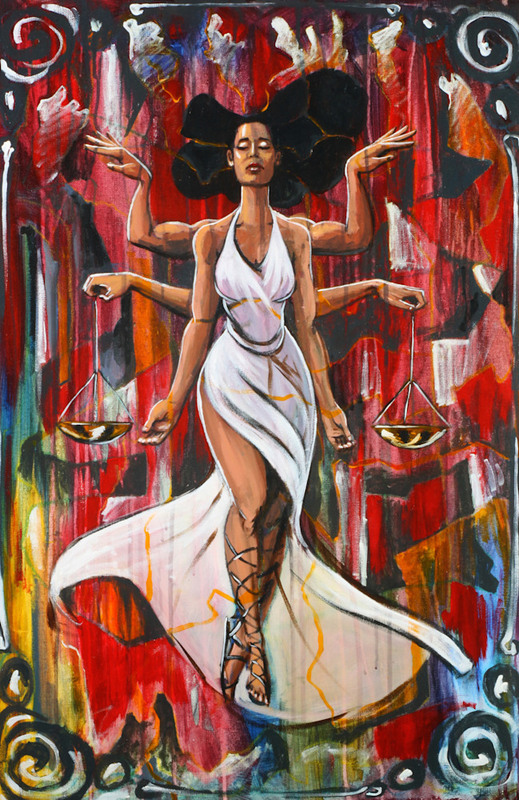 Eastern Libra is a painting that was created live at the Belly Up in Solana Beach for an Art Battle. We all had 100 minutes to create whatever we wanted. While I didn't take home the title, I was very pleased with what came together. This piece is about the goddess energy that runs through all of life It's about the balance of the Libra (I'm a Libra). It's about the entrancing power of the feminine. Surrealistic "Eastern Libra" painting as fine art reproduction or original artwork by Southern California Artist, Taylor Gallegos.